The northern French city of Lille is one of my favourites for a weekend break – medieval old town (Vieux Lille) together with all the vibrancy, restaurants, shopping and other delights – all in one quire compact package within easy reach of the English Channel and the cross-channel ferry ports. 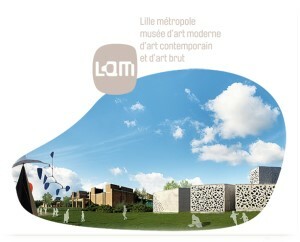 It also has its share of cultural and historical heritage with Vauban’s citadel and the art-nouveau art gallery “la Piscine” in adjacent Roubaix amongst a richness of art collections, significant amongst these being the Lille Metropolitan of Modern and Contemporary Art (musée d’art moderne, d’art contemporain et d’art brut) in Villenueve d’Ascq, part of the Greater Lille conglomeration. Although opened as relatively recently as 1983, the museum has had a major architectural facelift and is due to reopen to the public on 25 September 2010. So another good reason to visit this lively city – and of course there is always the Lille Wine Fair each November just to make it more irresistible!